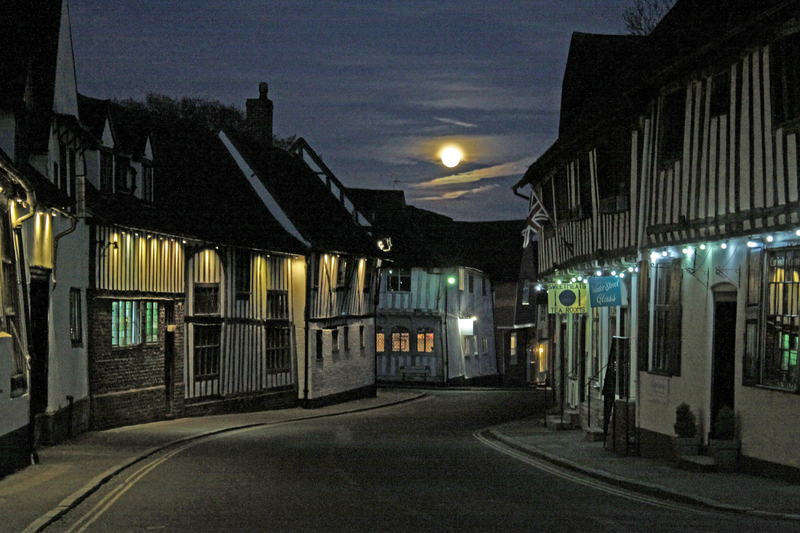 Last night there was an almost full moon hanging over Lavenham. Today we visited Sudbury which is just a few miles south for some essential shopping. We were fortunate to find in a sale, two dark green waterproofs which will not frighten the animals in Tanzania and better for bird watching here than the current ones which are red and bright blue. 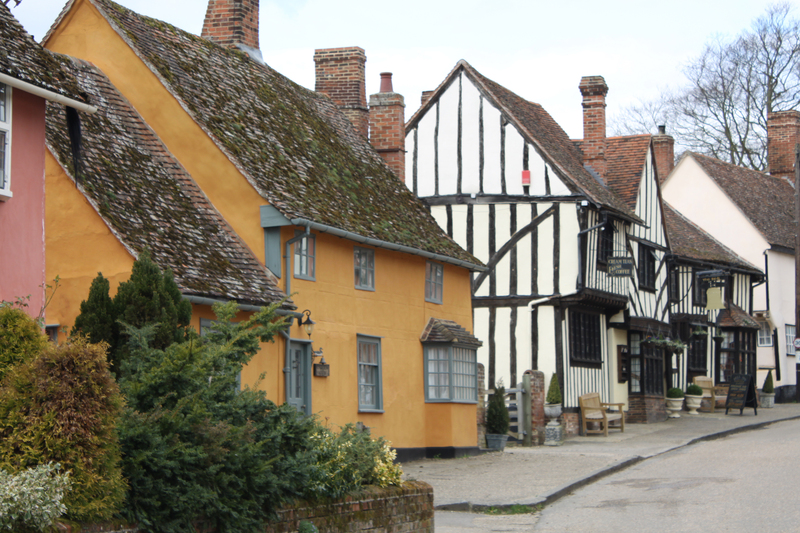 Afterwards we explored Kersey which is described by the Rough Guide as the most picturesque village in Suffolk. 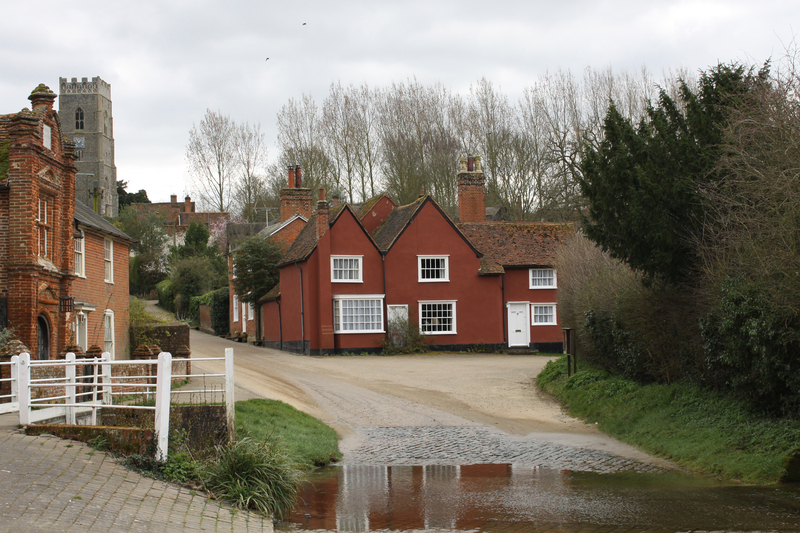 It does have numerous old houses, a ford with one moorhen sighted and a 14th century pub which did a very good and very reasonably priced lunch. We tootled back to Lavenham and are now ensconced in the Greyhound where the locals are discussing having cats.